I am glad to see that my last post “Recovering the Ancient Light and Amrita of the Vedas” has been well shared on Facebook. It has the second highest readership of any of my posts, closely following my July 2018 post, “Finding the Saraswati River & Restoring the Flow of Her Vedic Wisdom”. Comments, though largely positive, range from “Great work. A must read” to an angry face emoji. Many readers have requested more simple explanation feeling like what I am conveying is beyond the grasp of normal intellect; and one concluded that what I have presented is “of no consequence”. Whereas this last comment really represents the mind’s seemingly infinite capacity to diminish that which it doesn’t understand, it also represents the necessary task or challenge of conveying the importance (consequence) of unveiling the long-lost Geometric Keys of Vedic Wisdom, when most people have no understanding of Vedic Wisdom precisely because the keys and context of its language have been long-lost. Circa 1908 Sri Aurobindo began addressing this loss and contributed to the restoration of the “secret” of the Veda throughout his writings. As such, the Vedas represent the ancient global spiritual culture and yogic approach to life behind the earliest mystical traditions of the world and our deepest spiritual heritage as a species. The Vedas are centered in the deepest spiritual and self knowledge – the unity of the individual soul with the Divine. They teach us that there is only One Self in the universe…. As Sri Aurobindo wrote, the knowledge contained in the Vedas was hidden by the Rishis via a “veil of symbols”, only to be understood by initiates. [The Mystics had an enormous inﬂuence on] early civilisations; there was indeed almost everywhere an age of the Mysteries in which men of a deeper knowledge and self-knowledge established their practices, signiﬁcant rites, symbols, secret lore within or on the border of the more primitive exterior religions. This took different forms in different countries; in Greece there were the Orphic and Eleusinian Mysteries, in Egypt and Chaldea the priests and their occult lore and magic, in Persia the Magi, in India the Rishis. …If men entered into [the occult knowledge of the Mystics] without a severe test and training it would be dangerous to themselves and others; this knowledge, these powers could be misused, misinterpreted, turned from truth to falsehood, from good to evil. A strict secrecy was therefore maintained, the knowledge handed down behind a veil from master to disciple. A veil of symbols was created behind which these mysteries could shelter, formulas of speech also which could be understood by the initiated but were either not known by others or were taken by them in an outward sense which carefully covered their true meaning and secret. This was the substance of Mysticism everywhere. It has been the tradition in India from the earliest times that the Rishis, the poet-seers of the Veda, were men of this type, men with a great spiritual and occult knowledge not shared by ordinary human beings, men who handed down this knowledge and their powers by a secret initiation to their descendants and chosen disciples. It is a gratuitous assumption to suppose that this tradition was wholly unfounded, a superstition that arose suddenly or slowly formed in a void, with nothing whatever to support it; some foundation there must have been however small or however swelled by legend and the accretions of centuries. But if it is true, then inevitably the poet-seers must have expressed something of their secret knowledge, their mystic lore in their writings and such an element must be present, however well-concealed by an occult language or behind a technique of symbols, and if it is there it must be to some extent discoverable…. Sri Aurobindo began the important process of unsealing the “sealed chamber” of the Veda; and based on his work, Thea made great progress in uplifting the hidden secrets or truth therein. And now, based on what they both revealed, I have made some additional progress in this arena which will hopefully be of use to others (whether in the present or future) who are in alignment with this mission of restoring the Eternal Wisdom of the Vedas in our world. Sri Aurobindo recognized that the central theme of the Vedas is the Yajna or Sacrifice. This Sacrifice (Yajna) is the forgotten basis of Yoga and Religion. Sri Aurobindo recognized that the Vedic Sacrifice is equivalent to the evolutionary journey (the evolution of consciousness) lived out on Earth, and that the Rishis saw, understood and characterized this journey in terms of the twelve months of the Earth’s Year. Vala, meaning enclosure or cave, is a symbol of the enclosure of Ignorance, or the demon of Ignorance in the Rig Veda. 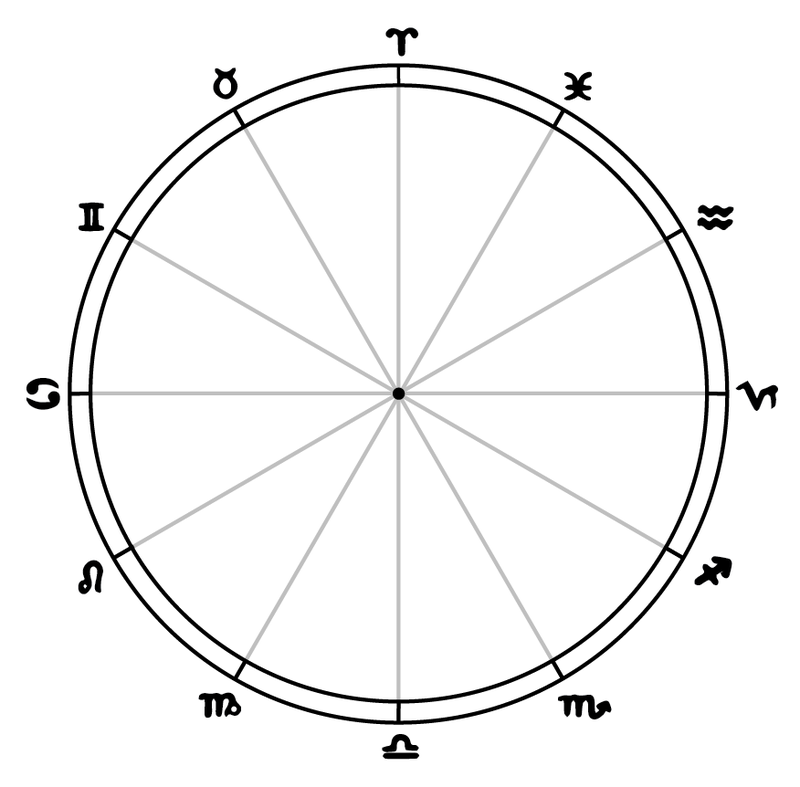 From this verse above, and many others which make clear reference to the measure of the Earth’s year, Thea saw that the Zodiac is a central key or pillar of the symbolic language of the Veda, a key without which the meaning of symbols remain largely misunderstood. “[T]he Vedic ‘journey’ just as it is described in the Veda, [is] based on the revolution of the Earth around the Sun, along the ecliptic within the tropical zodiac; above all the zodiac because that is where we find the secret language. The central protagonist of the Veda is the Year – the sacrifice lasting 12 months.” – Thea, “A Calendar that Unifies”, bold emphasis added]. I will not attempt to give a full account of what Thea illuminated about the 12-month Zodiac as an essential key or pillar of the Veda; but it is necessary to emphasize here that she understood the Vedic Yajna or Year (i.e. Tropical Zodiac) as a microcosm and map of the evolution of consciousness, each month representing progressive stages of development in the soul’s manifestation or realization of the Divine Self. She recognized that the final quadrant of the Zodiac, comprising the signs of Capricorn, Aquarius and Pisces) was called Swar by the Rishis, representing the realm of Truth-Consciousness, beyond the falseness and division of the Mental stage of evolution (the third quadrant of the Zodiac). She taught that knowledge of one’s movement within the cycles of Time (i.e. within the Vedic Yajna) serves to uplift consciousness from the fragmented mental-egoic consciousness towards the Integral and Supramental consciousness, progressively revealing the hidden treasures of the Divine Self. Her groundbreaking teachings on the usefulness of the Vedic Yajna toward the uplifting of consciousness can be verified by any who apply them to their own journey in Time, or to our collective evolutionary adventure on Earth. In other words, she not only recovered the hidden Zodiacal basis of the ancient Vedic Yajna or Yoga, she recovered and demonstrated its applicability and usefulness towards the transformation of consciousness. She also understood, as Sri Aurobindo did that the true purpose of the Yajna – and thus the real essence of Yoga/Religion – is not to transcend, escape or liberate oneself from manifestation or birth in Time and Space (as many have sadly come to believe the goal of Yoga/Yajna/Spirituality), but to become (i.e. fully realize) the Divine manifest in the world. called the Gnostic Circle by Thea. of Vedic Wisdom, p. 27. In February of 2016 I began to see the role the Vesica Piscis played as the foundation stone or geometric basis the measure of the Yugas and the Vedic Year. With this seeing, came the sense that the Vesica Piscis is an important key in the restoration of the Eternal Law (Sanatana Dharma) of the ancient Vedic Rishis. In March of 2016, I came to see that the mythology of Vishnu’s Ten Avatars (the Preservers of Sanatana Dharma, and thus of the Vedic Sacrifice) is firmly based on the geometry of the Vesica Piscis and the geometry of the Zodiac. 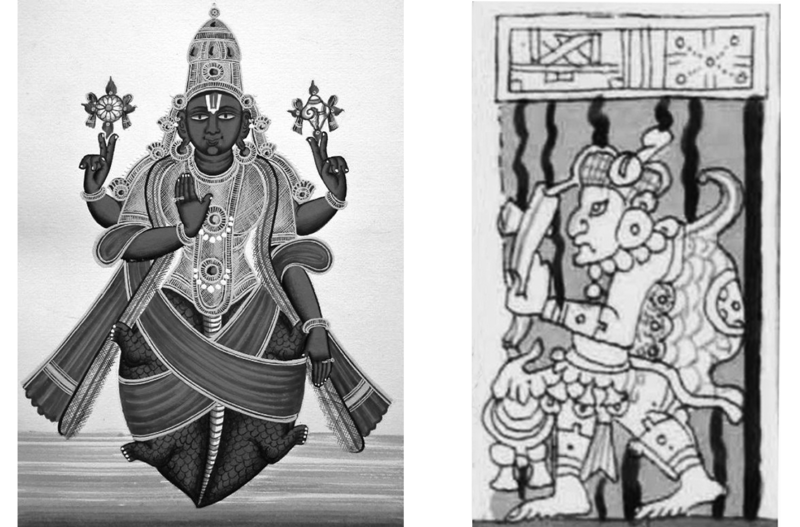 Thea had already seen the long-forgotten connection between Vishnu, the Zodiac and the Yugas, but she did not see the geometric component and proof of this connection. I tell the unusual story of how I came to see this in my book and will not repeat it here. What I will share is that my first understanding of the geometric basis of Vishnu’s avatars came in the form of Vishnu’s second Avatar Kurma [the Turtle] who is said to have upheld Mount Meru (aka Mount Mandara) in the Churning of the Milky Ocean mythology by which the cosmic order is preserved and the Nectar of Immortality (Amrita) is generated. Vishnu/Kurma then assumes the female form of Mohini and secures the Amrita for the enjoyment and empowerment of the Gods, preventing the Demons (i.e. the Ignorant) from drinking it. 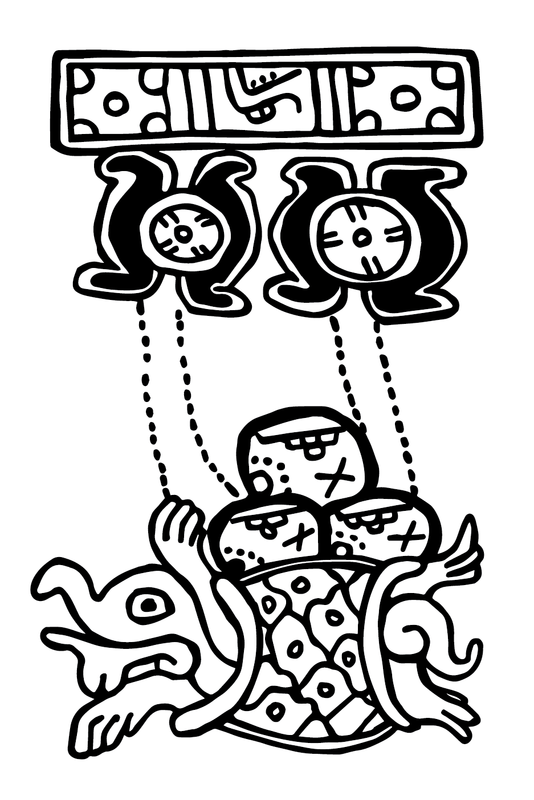 Kurma form, a modification of my images in GKVW, pp. 61, 70, 123. I saw that the shell of Kurma is the circle of the Zodiac, and his four legs were formed by four arcs of the Vesica Piscis from the four cardinal points of the Earth’s Year. These “legs” complete the 12 division of the 360° Circle/Year and encompass the four preservation signs of the Zodiac (Taurus, Leo, Scorpio and Aquarius) which Thea equated with Vishnu the Preserver. After seeing this, it was easy to see that first avatar Matsya [the Fish] was a symbol of the Vesica Piscis itself, and subsequently the geometric basis or foundation of Vishnu’s other avataric forms became clear. Geometric Keys of Vedic Wisdom, p. 123. 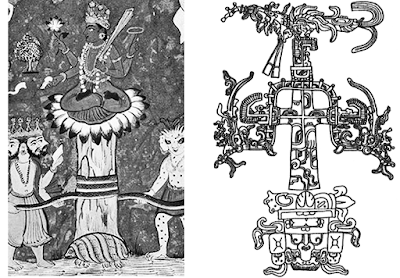 This World supporting Turtle (Vishnu) also shows up in Mesoamerican iconography in various ways. In my mind the most notable instance of this iconography is an image in the Madrid Codex which shows the Mayan lore of THREE CREATION STONES [hearth or FIRE stones] sitting on a turtle’s back. 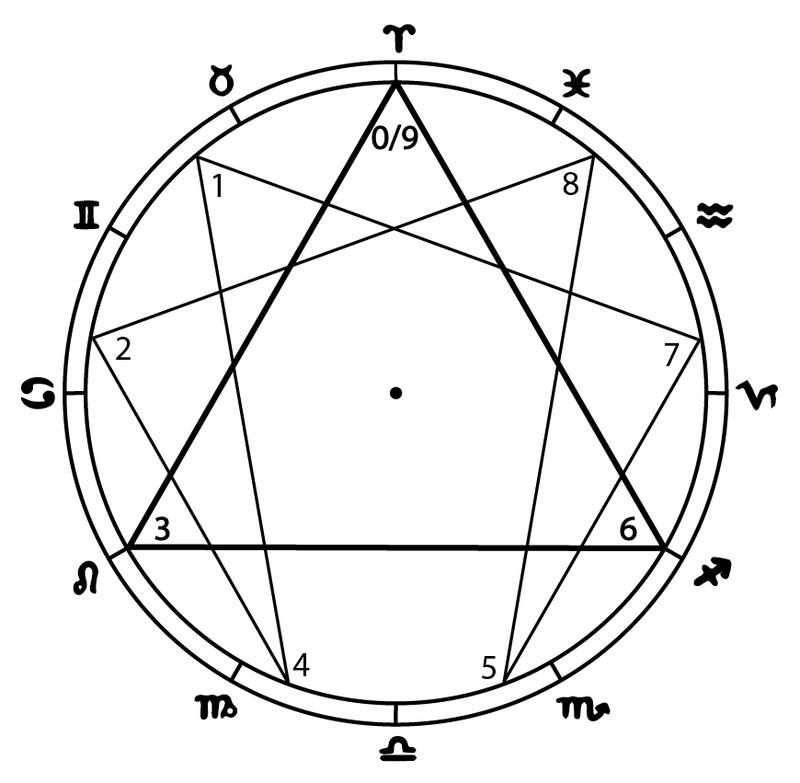 One look at the image of the three stone-shaped Vesica Pisces that mark out the three fire signs of the Earth’s year (symbolized by the Turtle) should illuminate for the reader what these three hearth stones are. The symbols above the Turtle and Three Creation Stones are recognized as symbols of the Sun and the Ecliptic plane of our Solar System. Another example of Vishnu mythology in Mayan iconography is shown below. Left: Vishnu as Kurma; Right: Turtle-Man or God from the Dresden Codex. The point I wish to make here is that there is a long-held tradition or belief in India that the God Vishnu returns from Age to Age (Yuge Yuge) to preserve and restore the Eternal Wisdom on Earth, and in 2016 it became fully apparent to me that the Vesica Piscis is a central key not only to the symbolism of Vishnu mythology, including the mythology of his three steps (trivikrama) across the universe, but is also a central key of restoring (and thereby preserving) the Eternal Wisdom of the Ancients in our current Age of Vishnu – the Age of Aquarius. Thea recognized Sri Aurobindo as the incarnation of Vishnu the Preserver of our Aquarian Age. Most will think this is just fantasy and that mythology and prophecy have no real counterpart in reality, and yet in the dawn of our current Age, the sacred Eternal Wisdom that is to be the basis world harmony is being restored through the impetus of Sri Aurobindo’s Supramental Gnosis. The Turtle is an ancient symbol of this fixed basis of the Harmony of all life on Earth. In the Indian Churning of the Milky Ocean mythology the Turtle (i.e. 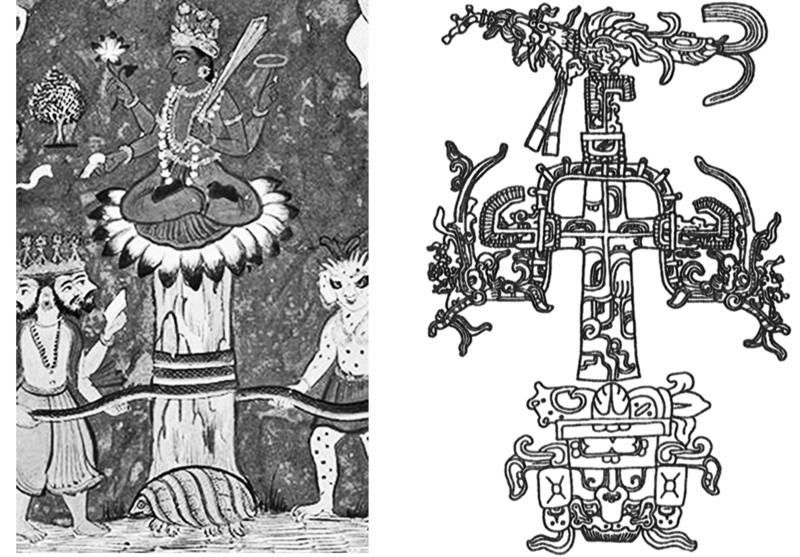 Vishnu as Kurma) upholds Creation [below left], and in Mayan mythology this same Turtle upholds the World Tree (Wacah Chan) [below right]. While working on my book in March of 2017, I found an 2015 email from a colleague at Thea's Aeon Center of Cosmology (aka "Skambha"), which emphasized the importance of Kurma's role in stabilizing the Earth's "Churning" process and in the reinstatement of the Eternal Truth of which the Turtle forms the basis or foundation. After writing some 180 pages on the topic of the Vesica Piscis as the key of Vishnu’s preservation and restoration of Sanatana Dharma, I then came to see that the arc of the Vesica Piscis within the circle of the Zodiac is depicted as a RIVER in the Rig Veda. This geometric key pierced and quickly dismantled the “veil of symbols” the ancient Rishis used to occult or hide their sacred gnosis, and I could see a whole layer of the Vedic hymns that had been hidden (lost) for multiple millennia. 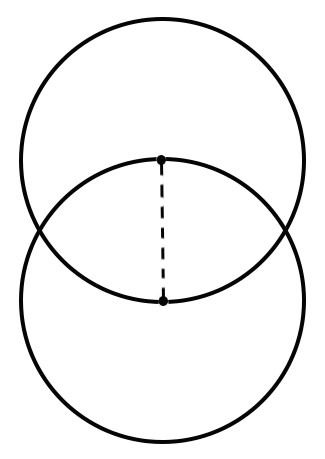 I could see that the sacred form of the Vesica Piscis was depicted via hundreds of symbols, not just as the sacred rivers or waters of the Veda, but as the sacred cow, the Amrita (the nectar of immortality) of the gods, the food (manna) or wine of the gods (Soma), the Dawn goddess, the River goddess, the flight of a Falcon or Eagle, the gallop of a Horse, and as the sacred word, thought, song and prayer of the Rishis. Seven days after receiving the Vesica Piscis as the geometric key of the Vedas, Thea left her body after a long-battle with Cancer. I was stunned by the play of circumstances that deposited this crucial key into my consciousness in conjunction with Thea’s passing, 144 years after Sri Aurobindo’s birth. I could see how various mythologies prophesied the eventual piercing of this ancient veil of symbols, including the mythology of release of the seven rivers of the Veda, and the release of the seven vials of St. John’s Revelation. I will discuss the release of the Seven Rivers and Seven Vials of the Vedas and St. John’s Revelation in a future post. 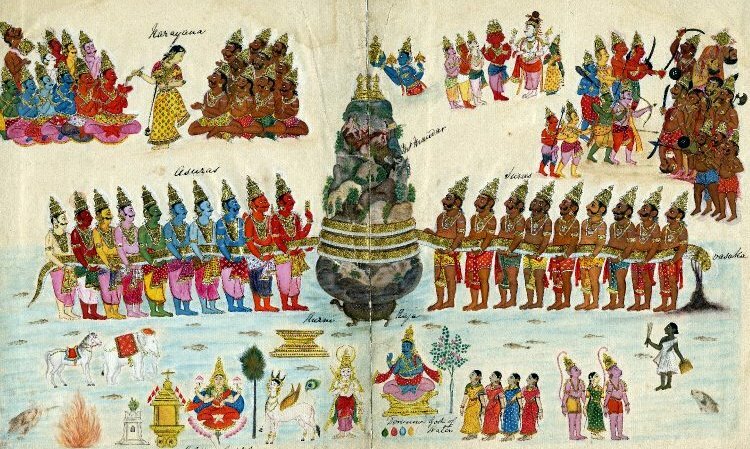 Here I wish to help readers SEE more clearly that, as I wrote in my last post, the Amrita ‒ the immortalizing food of the Gods of the Vedas to be recovered or attained by Vishnu, equivalent to the Manna of Biblical lore (and the immortalizing drink contained in the Holy Grail/Chalice of Arthurian lore) ‒ IS a veiled symbol of the Vesica Piscis. The correspondence between Amrita and the Vesica Piscis is clear in R.T.H. 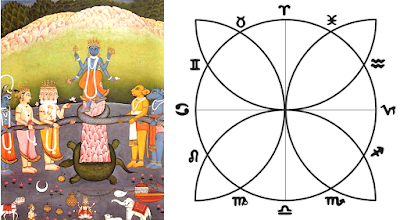 Griffith's translation of Rig Veda 4.58, wherein the Amrita is depicted as “a wave of sweetness” seen together with its stalk or Golden Reed which are both symbols of the Radius, as is “the Gods’ tongue” located at Amrita’s center. Forth from the ocean sprang the wave of sweetness: together with the stalk it turned to Amṛta, that which is holy oil's mysterious title: but the Gods’ tongue is truly Amṛta's centre. Let us declare aloud the name of Ghṛta, and at this sacrifice hold it up with homage. So let the Brahman hear the praise we utter. This hath the four-horned Buffalo emitted. Four are his horns, three are the feet that bear him; his heads are two, his hands are seven in number. Bound with a triple bond the Steer roars loudly: the mighty God hath entered in to mortals. That oil in triple shape the Gods discovered laid down within the Cow, concealed by Paṇis. Indra produced one shape, Sūrya another: by their own power they formed the third from Vena. From inmost reservoir in countless channels flow down these rivers which the foe beholds not. I look upon the streams of oil descending, and lo! the Golden Reed is there among them. In this hymn, the Vesica Piscis is not only portrayed as “the wave of sweetness” and Amrita, it is also the Holy Oil (Ghṛta), the reservoir, the countless channels and the rivers/streams of oil. In addition to the stalk, the Gods’ tongue and the Golden Reed, the Bull and other masculine figures (gods) of this hymn are also symbols of the Radius which dwells within and creates the eternal forms of the Circle and the Vesica Piscis. The triple shape of the oil and the triple bond of the Steer (Bull) are references to the three Vesica Piscis that perfectly divide the 360° Circle/Year into three 120° segments (each equivalent to 432,000 arc seconds). The Cow in which the triple shape of the oil is laid down and the Ocean from which the "wave of sweetness" springs forth in this hymn are symbols of the entire Yajna or Year. This “oil in triple shape” corresponds to the Three Creation Stones of Mayan lore, just as the “four-horned Buffalo” is equivalent to the symbol of the four-legged Turtle (both symbols of the Earth’s Year). Many naturally will ask “So what?”, “What does all this mean?”, or “How does this all help anything or anyone?” Well initially it should wake people up to the fact that our world’s knowledge of its own ancient lore and mythology has been greatly hobbled by long-standing ignorance of this important hidden piece of the scrambled puzzle of our ancient history and our present predicament on Earth. It is a key, as is the Zodiac, of seeing the lore, symbols, mythologies and religions passed down through large spans of Time on Earth from an Integral or Holistic perspective, i.e. seeing the larger picture and framework of how the fragments or puzzle pieces of our past and present actually fit together as a cohesive whole. The narrow and dominant lens of Eurocentric scholarship has greatly underestimated and diminished the intricate language and rituals of the Ancient Rishis. The intelligence it took to compose (and orally transmit) the Rig Veda is mind-boggling. Mankind may still have a long way to go towards fully understanding the Rishis’ cohesive and occult system of Gnosis, and thus the real sense of Yoga and Religion, but many crucial keys of this system of Gnosis have already been recovered. As Sri Aurobindo taught, this recovery coincides with a great shift forward in the evolution of consciousness, from Mental to Supramental Consciousness as he described our world's transition into Unity Consciousness, Truth Consciousness, or Divine Consciousness. We are at a time in our evolution where our narrow, fragmented and distorted views (understandings) our history, our language, our mythology, our symbols, our existence and our Divinity must be shattered and dissolved so that the Oneness of our journey or Yajna (Yoga) in Time and Space can be collectively experienced and celebrated, not as the superficial or superstitious religious beliefs or religious celebrations (holidays) of our modern-world but as the real knowledge (gnosis) and real expressions of our common Divinity which we have the potential to fully realize on Earth. Recommended reading: Sri Aurobindo’s book A Synthesis of Yoga (free PDF). For more on Thea’s teachings on the Vedic Yajna and the symbols of the Rig Veda, see The Gnostic Circle and The New Way, Vols. 1&2. For the story of how the gnosis of the Mother’s Temple was discarded and misconstructed in Auroville, see The Flawed Auroville Matrimandir-A Distortion of the Mother's Supramental Vision. Unfortunately, Dr. Height and the current residents and board of Aeon Centre of Cosmology/Skambha have thus far rejected what I am bringing forth about Kurma/Vishnu's recovery of the Vesica Piscis (the Amrita of the Gods) as a crucial piece of the reinstatement of the Sanatana Dharma in our current Age of Aquarius. Thea passed (in October of 2016) before I finished my book, and thus never gave any stamp of approval on what I have come to see and understand about these matters, and now seemingly half of Thea's small inner circle of students think that what I am bringing forth is 'my own thing' or a tangent, separate from the yogic lineage and mission Sri Aurobindo, the Mother and Thea. In October 2018 the President of ACC's Board of Trustees, who appears to be the only member of ACC's board who is supportive of what I am bringing forward, has been asked to resign, citing alignment with me as one of the reasons for this request. In my experience, there is no separation between the Geometric Keys of Vedic Wisdom that I have been given to introduce and the lineage/mission of the Supramental Yogis. For me, the 'stamp of approval' that I am on the right track is the dramatic expansion of knowledge this key has catalyzed in my own consciousness and all of the treasures of Gnosis it has given for me to see, integrate and share. 144 is a sacred number in India. It is 12 squared, but it is also one-third of 432, the sacred number associated with the radius of the sun, the Kali Yuga, the Rig Veda and the measure of the Vesica Piscis as I have demonstrated elsewhere. My book Geometric Keys of Vedic Wisdom, contains more elaboration on the importance of this 144-year span (circle) of Time in terms of the Supramental Yoga. As Thea discussed in her writings, 432,000 arc seconds is the measure of Kali Yuga (mismeasured/misunderstood by much of the world). She understood that the 432,000 measure of the Kali Yuga corresponds to one-third of the Great Year (the 25,920 year Precession of the Equinoxes), equivalent to four astrological Ages. See “Revisiting the Measure of the Yugas [Parts 1 and 2]”.